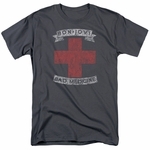 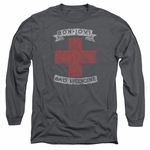 This Bon Jovi tank top displays the Bad Medicine song title along with the American Red Cross logo. 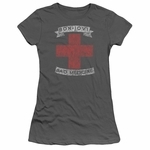 Bad Medicine is a staple on most classic rock radio station playlists. 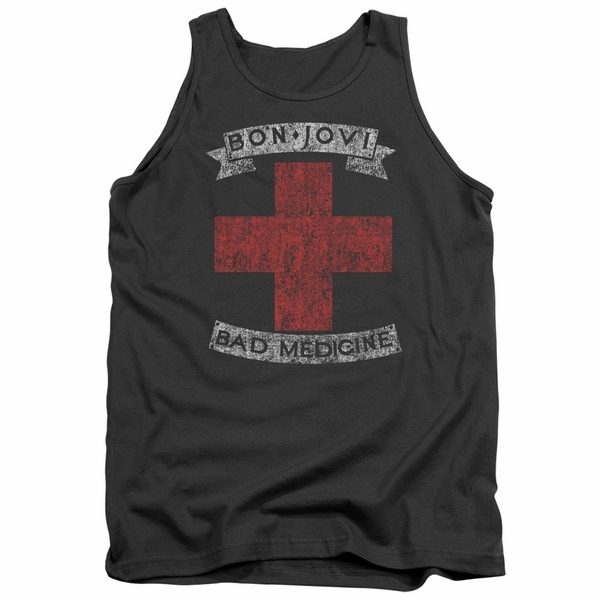 You can show that you are a fan of Bon Jovi everywhere you go with a Bon Jovi tank top!